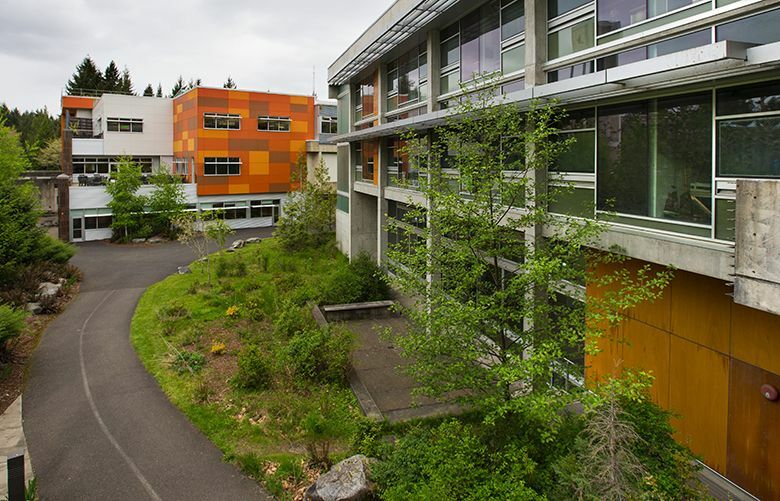 At The Evergreen State College, students have disrupted events, charged the school with racism and listed demands ever since the academic year began. Protests finally exploded in late May when students took over an administration building and an anonymous threat shut down the campus. It has seemed like a textbook case of political correctness run amok: A college professor objects to an event in which organizers ask white students to leave campus for a day as part of an exercise in equity. Some students call the professor a racist. A crowd confronts him and shouts him down. Because there’s video of the angry confrontation, the issue explodes on social media and in the mass media, and commenters from both left and right excoriate the college for letting students shut down speech they didn’t like. But the protests at The Evergreen State College in late May didn’t come out of nowhere. 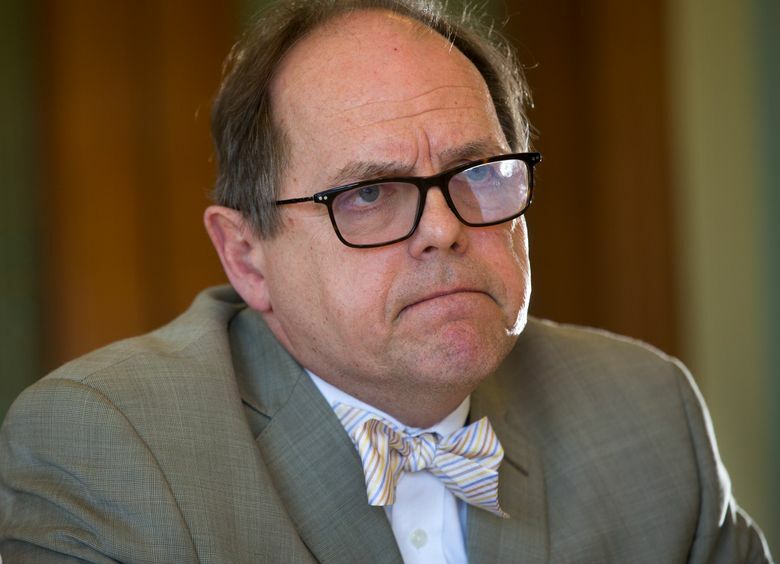 Underlying the inflammatory rhetoric has been a year of strife and discord at the state’s smallest public four-year college, a liberal-arts bastion with a counterculture pedigree. Student protesters have disrupted events, charged the school with racism and listed demands ever since convocation kicked off the academic year in September. Then, in the incident that went viral, students late last month surrounded and confronted professor Bret Weinstein, who called into question a campuswide equity proposal. Hundreds took over the administration building and had a tense, testy dialogue with the college’s president, George Bridges, for hours. Campus police waited outside, ready to rush into the building if things became violent. Many faculty and students — including the protesters — are reluctant to talk about the incident, especially since not long afterward, an anonymous caller phoned in a threat that shut down classes for three days. It’s not known if the call was related to the protests, but it put everyone on edge. Some faculty members, while disagreeing with the students’ tactics, nevertheless say the college was moving too slowly on equity issues, including diversity training for all faculty. “The students have been making requests that are pretty reasonable for at least a year and half, in all kinds of polite and civil ways,” said Sarah Eltantawi, a professor of comparative religion. “Where I think the students erred is that they got fed up, and they put every issue they’ve ever had into one box, and decided they were going to protest,” she said. But Weinstein, the professor targeted by protesters, thinks the college is headed in the wrong direction. In an interview Thursday, Weinstein said he opposes the college’s equity emphasis because he believes it will result in a hiring policy that prioritizes skin color over teaching ability. And he says some at Evergreen have leveled charges of racism where he believes none exists. “When one looks for racism in all things with a confirmation bias, one will find it, even where it is not,” he said. Classes ended Friday, but it seems unlikely the issues will go away. Earlier in the week, several students who were writing messages in chalk that encouraged the school to get back to teaching scuffled with other students. Police and college authorities are reviewing the incident, an Evergreen spokesman said. And 17 students posted a statement disavowing the protesters and their cause, and saying they were appalled by the events. “A small, vocal, and even violent group of students has been allowed to speak for all Evergreen students in a way that does not align with Evergreen’s core values and founding principles,” the students wrote. Eltantawi and other faculty members who are willing to talk about the Evergreen situation say racial tensions worsened in Olympia in 2015, after a white Olympia police officer shot two African-American men, leaving one paralyzed. In mid-May, the two were found guilty of assaulting the officer. The officer had already been cleared of wrongdoing. In the meantime, students have protested at a number of Evergreen events, saying the university is racist. Along with disrupting the college’s convocation in September, they also protested during a Board of Trustees meeting in November, demonstrated against the swearing-in of a new college police chief, and raised concerns when campus police took two African-American students out of their dorms around midnight in mid-May and alleged they had threatened another student. In March, Weinstein — a frequent critic of efforts to change the college’s curriculum and address equity — raised concerns about the “Day of Absence,” an annual event organized by the college in which students of color leave campus for a day to discuss issues of race and equity. It is a voluntary event. This year, in a twist, white students were asked to leave campus. The “Day of Absence” happened April 12, and about 200 white students — out of an enrollment of about 2,700 whites — gathered at a nearby church to discuss issues of equity. It was followed by a “Day of Presence,” in which students talked about what they’d learned. On May 23, Weinstein was confronted outside his classroom by at least 50 students, who called him a racist and demanded he be fired. Weinstein said campus police told him it wasn’t safe for him to return to his classroom, although college officials said the police had only said “it might be a good idea for him to stay away from campus for a day or two,” according to Evergreen spokesman Zach Powers. Shortly after, the college ended up in the national spotlight. On May 26 on Fox News, under the banner ”Campus Craziness,” political commentator Tucker Carlson interviewed Weinstein and described how Evergreen students “demanded all white students leave the campus or else. “This whole story is so over the top that, even though we do a lot of these, it’s hard for me to believe it’s real,” Carlson added, as the video of angry students played in the background. For some, the biology professor became a hero for standing up to intolerant, politically correct millennials quashing free speech on college campuses. But others say Weinstein misled outsiders about what was going on. “The misunderstanding about the ‘Day of Absence’ is really quite something,” said professor Jon Davies. Bridges and the college’s communications vice president, Sandra Kaiser, said they regret Weinstein left Fox News viewers with the impression that white students were forced to leave. But Weinstein described “Day of Absence” as coercive. Some faculty say the media’s focus on free speech ignores reasonable requests from the students: mandatory training for faculty on equity and cultural competence, equal pay for student employees who work in the diversity office, an examination of whether students of color are treated the same in disciplinary actions. Bridges says he is trying to address those issues. Some, including Bridges — who himself protested the Vietnam War as a student at the University of Washington — say the campus protests resemble the tense, heated exchanges between students and administrators during the 1960s. But social media and a polarized mass media have ratcheted up the temperature, some faculty say. Although Bridges plans to discipline those responsible for the disruptions, he also believes it’s a tough time to be a minority in America. Since the election, he said, many students of color are asking whether “society is changing in a radical way that will block me from opportunity.